Huawei MateBook 13 Signature Edition Laptop Review - Legit ReviewsMateBook 13 - Ready To Challenge Other Popular Models? MateBook 13 – Ready To Challenge Other Popular Models? 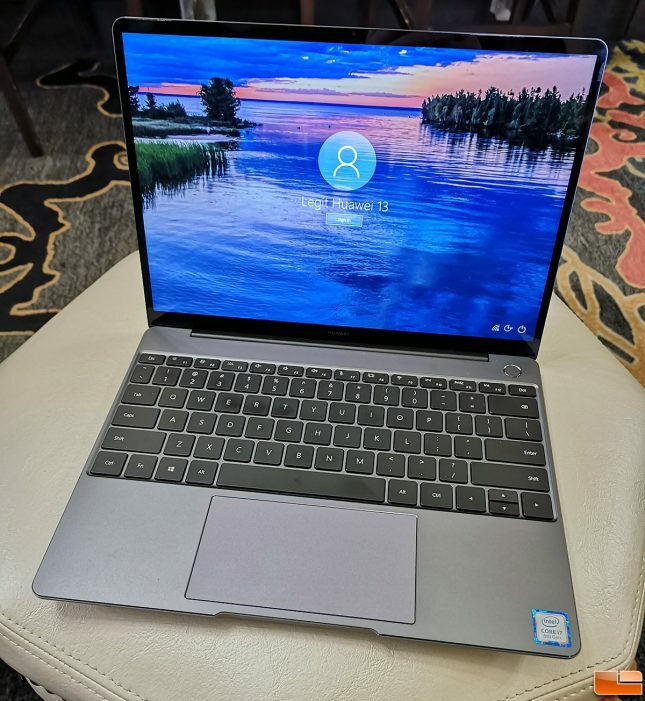 When we got our hands on the Huawei Matebook 13 Signiture Edition laptop we figured that we would replace the Dell XPS 13 laptop that we use as a daily driver for a week or two. The only problem is that was couple months ago and we are just now getting around to doing the review. Over the past two months we’ve flown over 15,000 miles with the Huawei Matebook 13 and have found it to be surprisingly good. This is the first time that we’ve spent more than a few minutes trying out a premium laptop from Huawei and we can see why Huawei is quickly becoming a well known brand around the world for more than just smartphones where they just happen to be the second largest smartphone manufacturer on the planet. 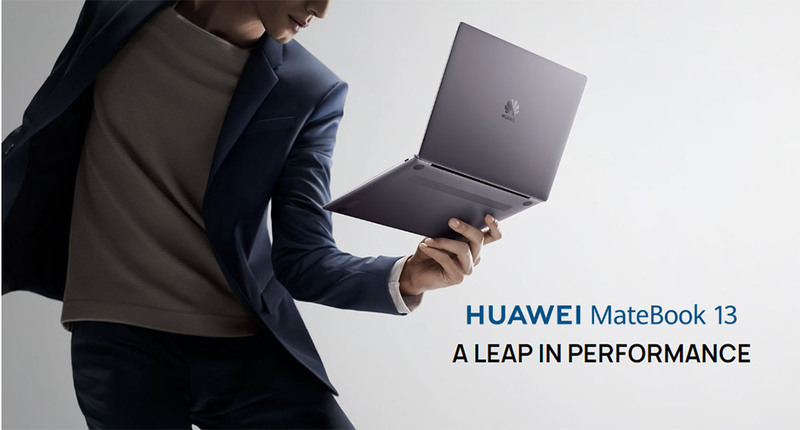 The Huawei MateBook 13 comes standard with a Intel Core i5-8265U 4-core, 8-thread ‘Whiskey Lake’ processor clocked at 1.6 GHz (3.9 GHz turbo), Intel HD Graphics 620 GPU, 8GB LPDDR3 memory, a 256GB NVMe solid state drive, and a “2K” 2048×1440 3:2 ratio 13″ touch display for $999.00 shipped. For those that want a little more power you can step up to the $1270.09 shipped model that has a faster Intel Core i7-8565U 4-core, 8-thread processor clocked at 1.8 GHz (4.6 GHz turbo), NVIDIA GeForce MX150 discrete graphics with 2GB of dedicated GDDR5, and a 512GB NVMe SSD. The only disappointment on the most expensive model is that it comes with just 8GB of non-upgradeable DDR3 memory. 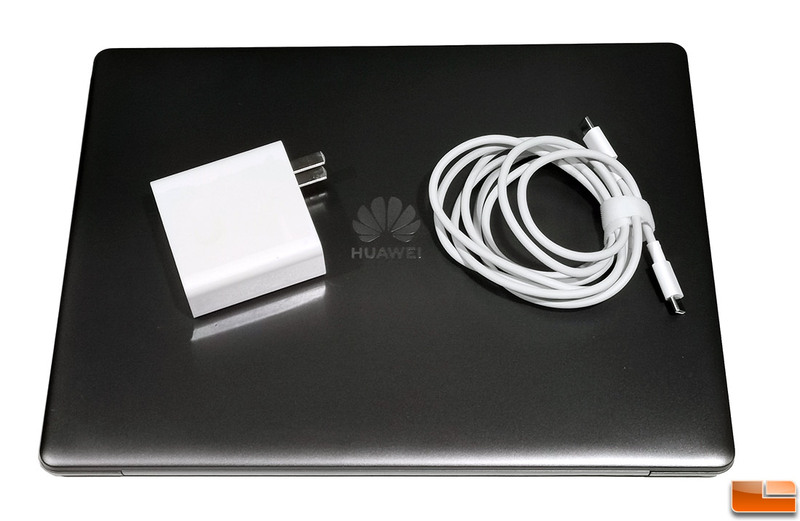 It looks and feels like Huawei is going after the Apple MacBook Air with this laptop. The Matebook 13 Signature Edition measures 11.3″ x 8.3″ x 0.59″ and weighs in at 2.86 pounds. This small size in combination with the internal 41.7Wh battery pack ensure that the Matebook 13 is ready for use on the go. Huawei claims that this notebook should last around 7-10 hours, but our use shows that is generally lasts between 5-6 hours. This was more than enough to ensure full use during our San Francisco to Saint Louis non-stop flights and it just barely made it on our Philadelphia to Paris, France flight just last month. 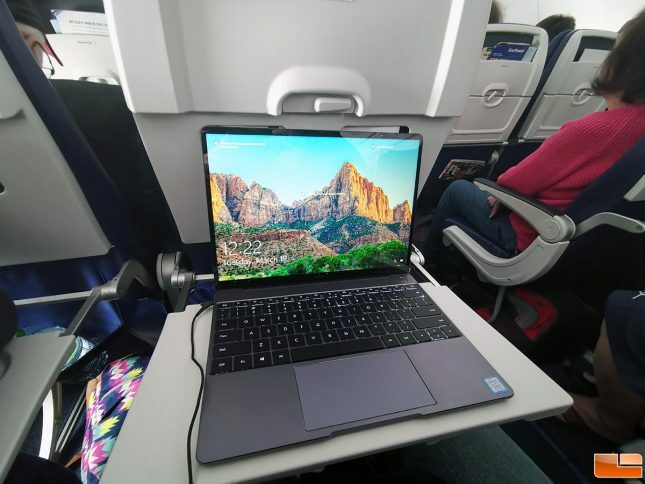 The Matebook 13 is ideal for plan travel as it fits neatly on the tray table in economy class seating as you can see from the image above. 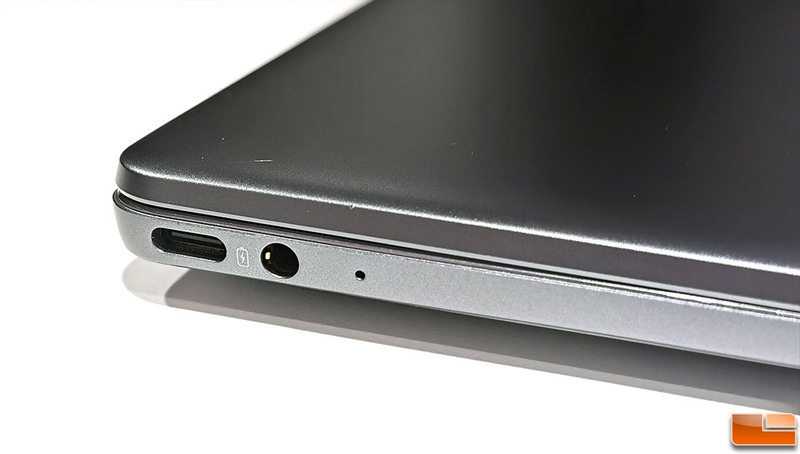 When it comes to connectivity the MateBook 13 has just two USB Type-C ports and one 3.5mm headphone jack. Both function as normal USB Type-C ports, but only the one on the left can be used for charging the laptop. This laptop does not support Thunderbolt 3, but it does come with Mate dock 2.0 for expanded connectivity (USB-A port, USB-C port, HDMI port and VGA port). Our review unit did not include the dock, so we ended up using the Kingston Nucleum USB C Hub ($49.99 shipped). This hub from Kingston worked great on the Matebook 13 and offers both SD and microSD card slots along with Type-C power pass through charging. While we are on the topic of charging we should note that the Matebook 13 Signature Edition comes with a 65 Watt USB Type-C pocket charger. 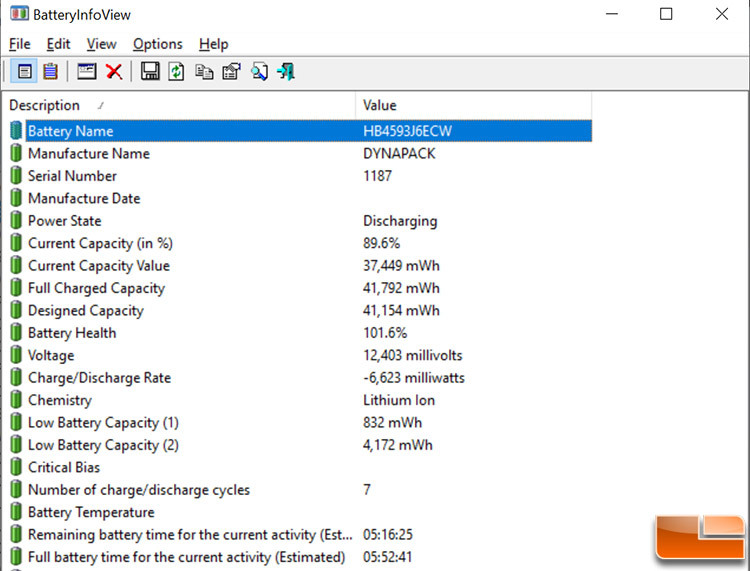 It can Quick Charge your laptop and that means you’ll get 2.5 hours of office use from a 15-minute charge. You can also use it to charge your smartphone and other devices, which is an added bonus over traditional laptop chargers. The 2160 x 1440 3:2 glossy IPS display in the Huawei MateBook 13 is great as is the backlit keyboard. Huawei did away with the hidden webcam under a key as the webcam on this model is back in the bezel. The power button is in the upper right hand corner and also serves as a fingerprint reader that supports Windows Hello. We had no issues with typing or using the touchscreen and it takes just a few hours to get used to both. The touchpad on the other hand took some time on getting used to as it has a vastly different feel from say a Dell XPS 13 laptop. Plugging in your favorite wired mouse means that you’ll need to get out the USB Type-C hub or you can go with a wireless model. If you hate bezels you might be on the fence with hour the MateBook 13’s display looks as it’s bezel is 4.4 millimeters on the sides. It’s not the thinnest out there, but far from the widest. The bottom of the Matebook 13 hold no secrets. You have the laptops downward facing stereo speakers located here and four rubberized feet. There are six T5 torx screws on the bottom of the as well as four Philips screws under the rubberized feet. When we went to take the bottom panel off we found that one of the Torx screws was just spinning. It was not stripped out, so the threaded insert was not holding properly. We didn’t feel like drilling out the head of the screw, so we won’t be opening this one up. It should be noted that the overall build quality of the MateBook 13 seems to be top notch other than this. 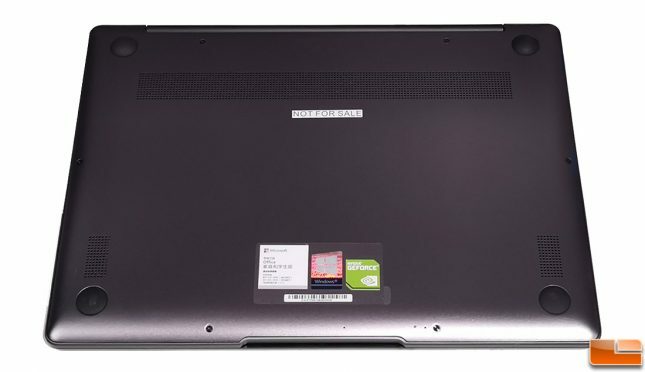 You can’t add memory to this notebook, so you only need to open it up if you need to replace the SSD, wireless card or fan at some point down the road. Let’s take a look at performance on the next page.